Soooo my birthday was last weekend on the 7th! I got lots of new pretty things that I'm sure are going to end up in my projects! I have also tried out some of the stamps and the washi's..... oh. my. goodness. The washi's!!! I am so surprised at the quality of those washi tapes! They came from Amazon. Part of me was really afraid that they were going to be really thick and not stick well BUT they are FABULOUS! They are shiny but it's kind of like a foil texture so it's not bulky and glitter doesn't get everywhere it's just not that kinda deal so I definitely need to go on Amazon and review those because they are AWESOME! I have plenty to play with right now for sure! Definitely got spoiled this year! Anyway thanks for stopping by and I hope you're looking forward to all the pretty things that will be coming to the blog! Change comes with the fall! 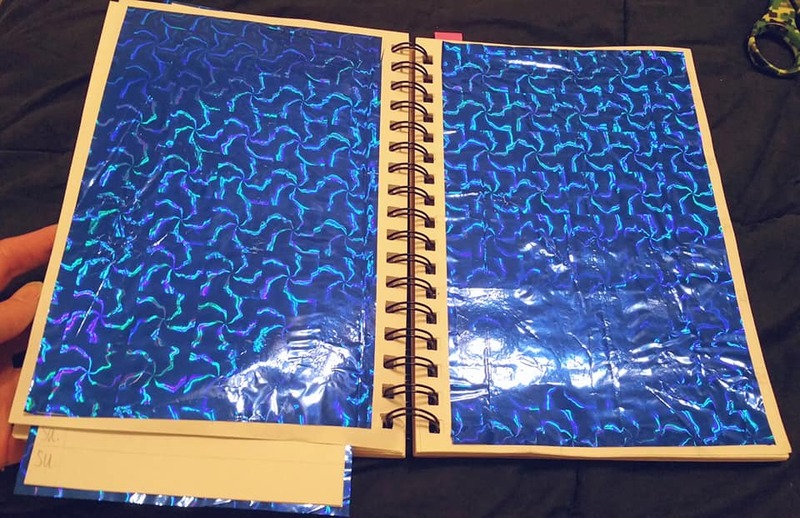 ​As I was doing my journal for September I really really fell in love with the blue shiny paper and decided to refresh my header! I actually love how it turned out! 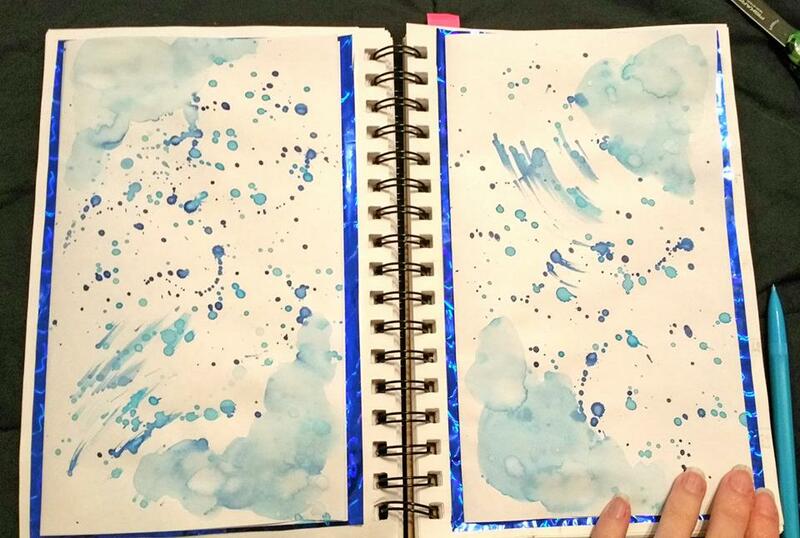 I used just basic art journal/mixed media supplies, nothing fancy. ​I cut out the flowers and hearts from an adult coloring book I had. So here's a little collage showing a bit of the process. I used some foam tape from the Dollar Tree to create some depth. The watercolor I did on my flowers and hearts came out sooo pretty! 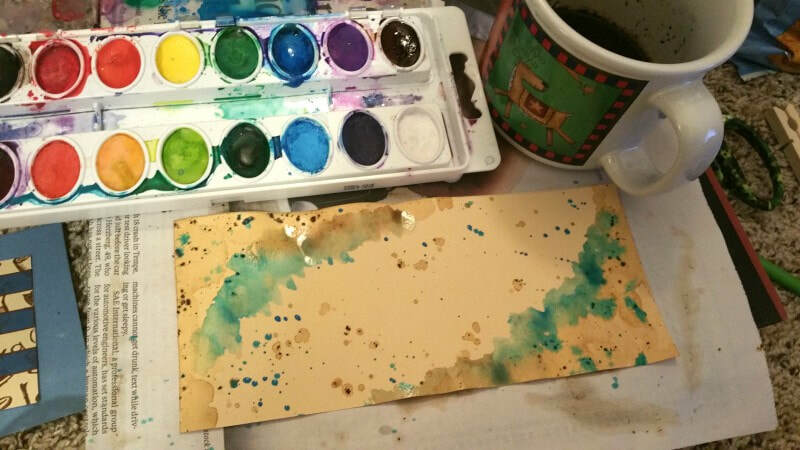 I actually got a little overzealous and attempted to create a full watercolor piece and you can see how that worked out in this post here. Just wanted to share my little process here and introduce the new header properly! I could create something digitally but I just enjoy creating it myself. Please feel free to leave a comment or shoot me an email if you wish. Happy September! My Welcome Page! 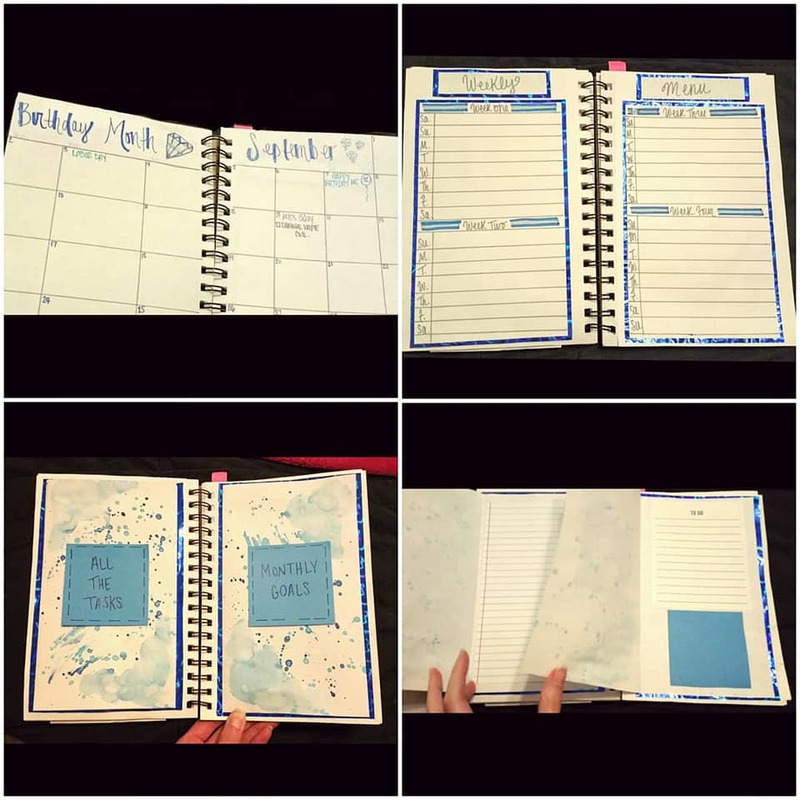 I'm still getting into my own groove as far as planning goes and welcome pages this was really one of the first ones I've done in my art journal. When I finished I felt like it was kind of underwhelming but it's a start and it's my own so we all have to begin somewhere and I know I will look back and be able to see progress and that's always a great thing. I am so ready for fall!!! Thanks for stopping by and please feel free to poke around and see what's going on! 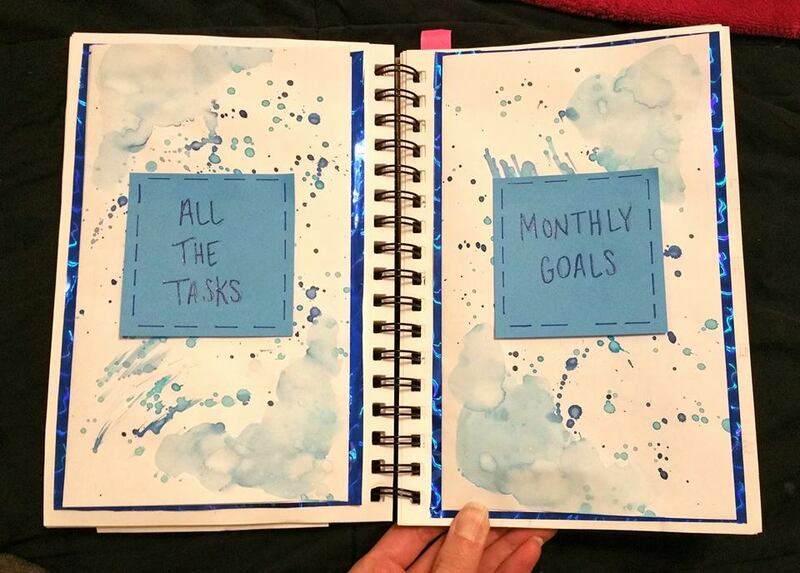 September Planner Layout! Sapphire Theme. 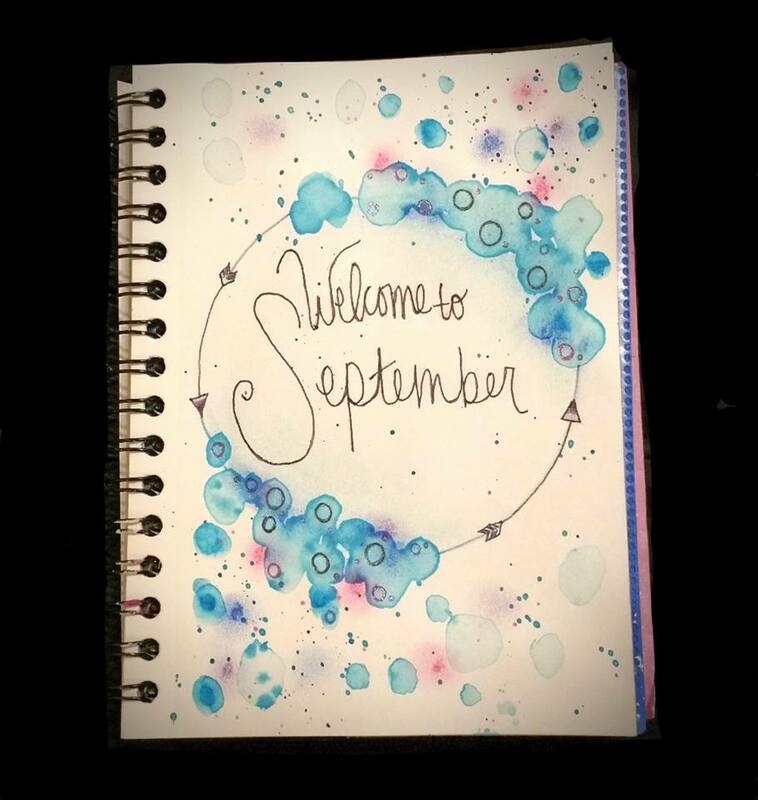 My planner is ready for September and it's beautiful!! I am really in love with the layout this month! 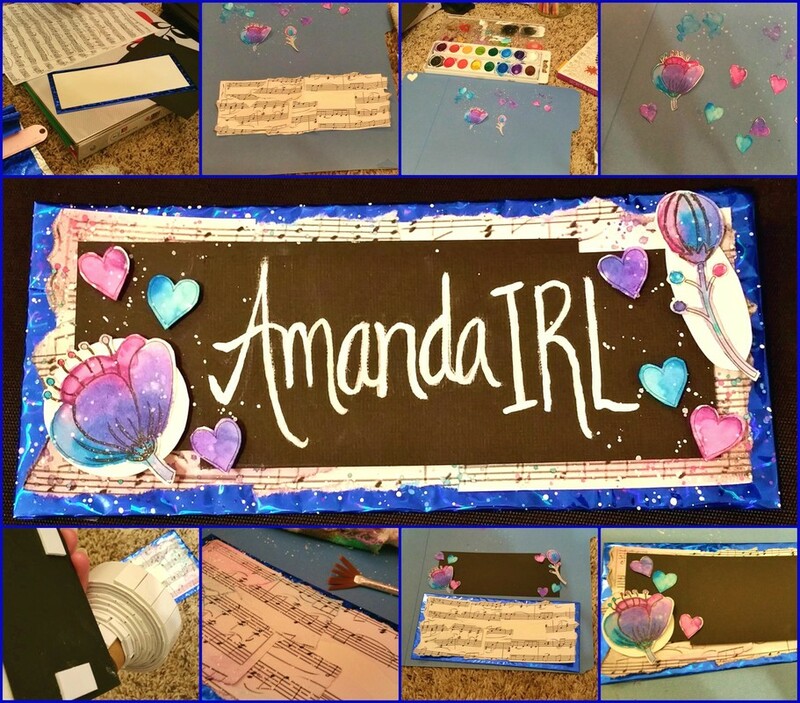 I had some shiny blue tissue paper stashed away in my craft box and it really added some flare to my layout. Again. I. LOVE. IT. 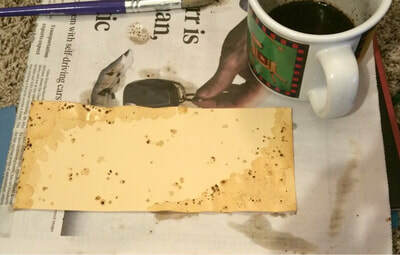 ​So here's some process photos. Before and after of the menu setup. Before and after of the Master Task area. I love how the pages flip! Great moment of inspiration for me I adore it! I just did a simple watercolor background but it ties together really nicely I think! I'm really going to enjoy filling up this layout this month! Happy September Eve and thanks for stopping by! Which means back to school! ​My little dude is going into 3rd grade!!! August and back to school also means fall is just around the corner and I.CAN.NOT.WAIT!!!! I have tons of things I've been working on and I can't wait to share everything BUT in due time! Stay tuned for more! Much much more! Time for the Father's Day Cards post! So I didn't do such a great job documenting the process on these but I'm still gonna share them because they turned out really cool and I'm proud and maybe someone can still use some of the ideas... You never know. I'm sorry y'all I am who I am. I'm messy. I'm kinda scattered brained ya know? But I'm ambitious and creative and I'm gonna share that with whatever world tunes in. Without further ado here's the two cards. One for Dad and one for Step dad. ​Keep scrolling to see how I made each one! I feel like I really did Dad's card process some injustice here because it's a pretty cool card... but I did get stuck for a while on photo #3... I could not figure out what to add to it for days and of course the last minute came and the magic happened. Honestly, I didn't think I was one of those "thrive under pressure people" but the more work I do, the more that seems true... that's not something I really ever wanted to be proud of but I am who I am I guess haha. Dad's card was easy. He's a car racing (yes literally) Mustang guy. The picture of the Mustang is actually a legit picture of him right before a race. I thought it would be cool to add that to the photo. I totally admire how he does exactly what he wants to do. That is done on Watercolor Paper. I like the thickness of it. Of course it didn't fit perfectly AND I thought about trimming it down but I left it and I like it that way. I also picked red as an accent because that's my dad's favorite color, which is great because black, red and white go pretty well together. 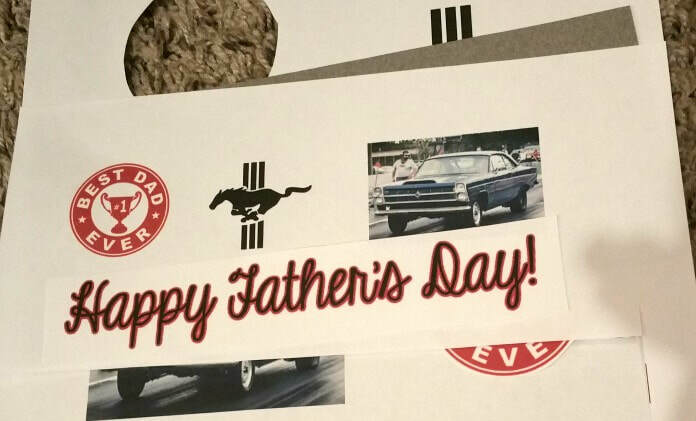 I did end up kicking out the Mustang symbol as I just couldn't get it how I wanted it. 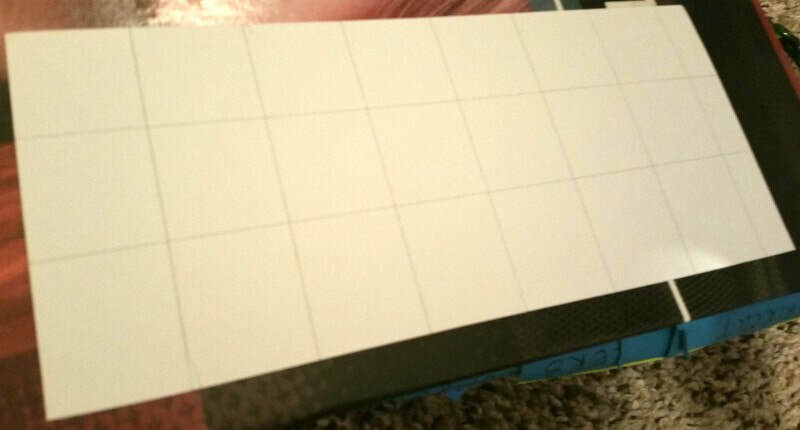 The transtion of the card did literally go from what you see to the finished product.. It happend in one magical sitting. I decided I wanted to distress the background a little bit and create a grunge type of effect. I used a black chalk pastel. 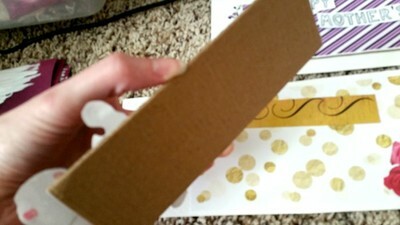 The gold you see is Pastel Paper painted gold. Besides the checkerboard background I used Pastel Paper for everything else. I like the texture for one and the thickeness is important. I want the card to be sturdy. For the last touches I tapped some white paint on the grey background and topped off the entire card with some gold speckles. Of course I got that one bit of gold paint that wanted to be overzealous so I ended up using my finger and added some more gold. Also added some White Chalk Pastel around the elements and the stars to give it a bit of a pop. I did secure the elements with some foam tape so they do have some depth to them they aren't just plastered on the card. I dig it. Very proud of my end result! Step dad was a bit more challenging at first but I went with my gut reaction which was coffee and sweets! Okay so first off, blue is my step dad's favorite color so that's how I chose the color scheme here besides the coffee and sweets. How lucky I got with colors lemme tell ya. Super happy about that... and as before I picked out my elements, some were just printed from Word, a few others I actually cut from magazines. Now that I look at it all the pictures on the left are from the internet... the ones on the right all cut out from a magazine... ha that's pretty cool! As for the paper I used, well the blue background is actually a file folder I cut up. Got a huge pack of them for $1 at the dollar tree. The yellow background is pastel paper again. I don't know what to tell you, I like it. So here's what's pretty darn cool about this card... the texture/background you see is actually "painted" from REAL coffee... just some coffee grounds, a little bit of water and some tacky glue... I added some watercolor later as you can see in the next photo. So this card is actually coffee stained and will probably still have a hint of a coffee smell. Pretty cool!!! Yes I have amused myself. It's okay, it happens often. Getting all the backgrounds figured out was kind of a challenge because I didn't want it to look too bland... 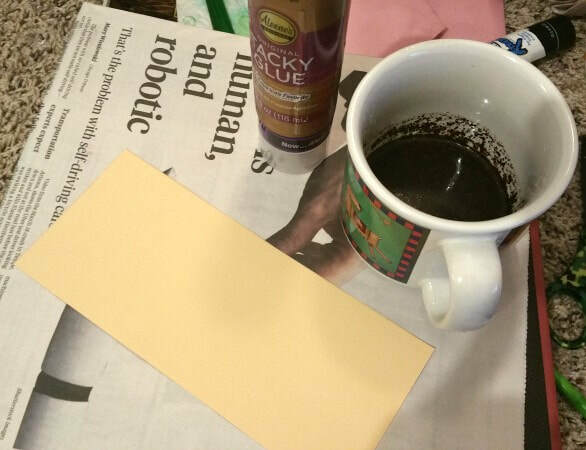 I used some more chalk pastels to create some shadows and that's also how I yellowed out the Father's Day text. Well I hope you enjoyed seeing my little behind the scenes creations. I didn't do the best job of capturing the process on these but it's been a very very very busy first little half of June so I give myself a pass on this one. I do pretty good with my art journal pages so if you have any questions or want to see any of the supplies I used I have no problem sharing. Well now that it's almost Father's Day I guess it's safe to share the Mother's Day cards I made haha! I made these myself. One for my mom, step mom and MIL. I feel like they captured each mom pretty well. 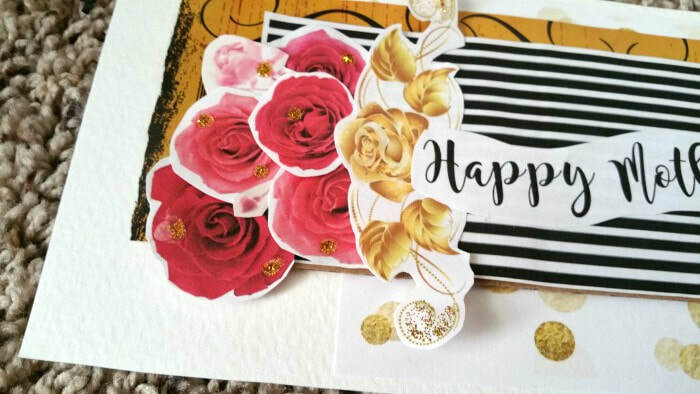 I had a blast making these and I will be doing more card making for sure in the future. I used just basic stuff... Watercolor Paper, cardboard. melted crayons. watercolors. images were printed from my computer. I also picked out a bible verse for each card. Pretty sure I nailed it. First up is my mom's card. The Clover on the back is real and plucked right from my backyard. All the decorations were printed off the laptop. The background is watercolor and melted crayon. 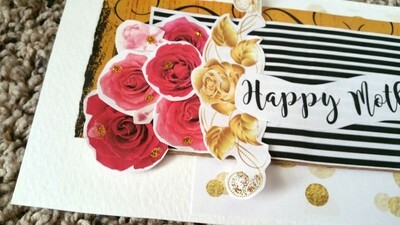 ​I love the vintage feel of this card. Next is my Step Mom's Card. It's a little more noisy. Also appropriate and I mean that in a very nice way haha. And finally my MIL's card. It's probably obvious I struggled with this one the most but in the end it still turned out nice. Purple is her thing so I think I caught that pretty well. Feel free to leave comments or questions if I didn't cover everything. A big part of being "AmandaIRL" is accepting all of myself. While I do love the days that I'm in sync with the flow of life there are just as many, if not more, days that I'm completely off the track. The train just wrecks. I've been on this Earth for 30 years and in that time I can tell you so far that no amount of fresh air or meditation or Jesus or diet changes or pills or alcohol or drugs or awareness have made any impact on my shadow. It is alive. It exists. Self awareness has helped me grow. A lot. I'm awake to my emotions so I am fully aware of my behavior and my attitude. I can issue warnings. I can say the shadow times are shorter and I'm able to connect to the light a bit quicker but taking a fall doesn't hurt any less. I feel as if I was born with active depression. I can remember being sad as far back as I have memories. I can remember being happy too. I'm pretty manic at times. I don't hang out much in the middle. Mediocrity bores me. So here I am--- this soul inside of a shell with a miserable ego. As Alan Watts said "getting rid of your ego is the biggest ego trip there is" there's no getting around it. I am coming to accept that there is no running away from who I am and I won't continue to pretend that I don't have days that are less than 100%. It's dishonest and it doesn't actually help anyone anywhere around me. On days like these the one thing I can do is wait. Wait with hope. Because I know that all is temporary. Emotions. Existence. The key is to be okay with not being okay. Pushing against it and attempting to fight it off only fuels the fire. There's a lot of shame involved with feeling down because I have the belief that I shouldn't be feeling that way and that belief is what causes my pain. Instead, I just sit with it. I chat with it. Serve it tea maybe. Attempt to see what it wants but I don't fret over it anymore. I don't judge it. Perfection isn't real. The perfect human isn't real. So instead of beating up on myself I turn to love. I find something within reach that leans towards self-love. I find that writing does help. Reaching for a better thought helps. Moving up the emotional scale helps. Maybe I don't get all the way up to contentment or appreciation tonight but it's right over the hill. I'll just keep going. Until this body stops breathing. And I hope that if anyone else is struggling they can find some hope in my experience. I think we are all here to be our true selves... our entire selves. You never know who you are helping or inspiring but it's often done by being completely true to yourself, both in the light and in the shadows. I love you all and I hope you have a wonderful evening! BUT!!! I am now an official .COM and I'm SUPER excited about it. Yes two years have passed.